Do you love eggnog? I have loved this rich, sweet drink for as long as I can remember. It’s such a staple in my house for the holidays. I start buying it before Thanksgiving and normally don’t finish until around New Year’s Day. Although I don’t typically have a lot of leftover eggnog – my family loves it as much as I do – I did wonder recently if there were any really good recipes that had a yummy eggnog taste. 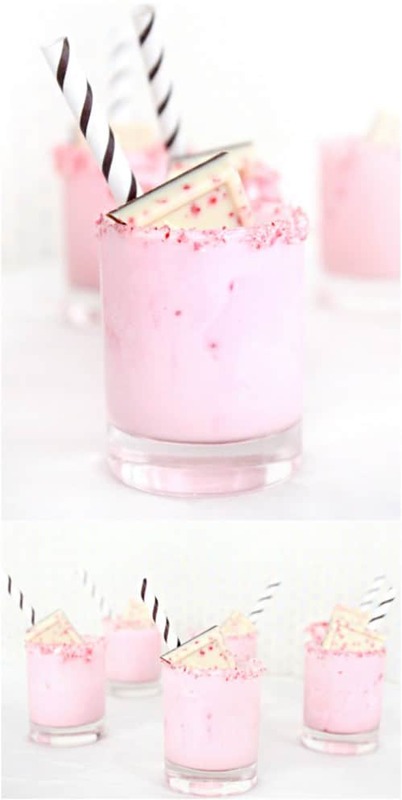 I found 20 of the tastiest eggnog recipes that you don’t serve in a glass. If you’re looking for a delicious dessert recipe, or something festive for Christmas breakfast, I’ve got just the recipe collection for you. Eggnog is simple to make – if you make your own. You can also use store bought eggnog in these recipes and some of them simply have the ingredients in eggnog that give it that yummy taste, like nutmeg. Whether you’re looking for a treat for home or you need something that is really going to wow them at your office Christmas party, you absolutely have to try these recipes. You’ll also want to take a look at these 40 scrumptious homemade fudge recipes. They will also make your holiday season fabulous. These eggnog recipes are all so delicious and so easy to make. There is a wonderful donut recipe, as well as recipes for cookies, cupcakes, cakes and a yummy cheesecake – all with the luscious flavor of eggnog. If you truly love eggnog or you just want something that you know is going to be a hit at your holiday gatherings, these are definitely the recipes for you. And, if you want something really quick and easy to make that is sure to thrill everyone, you just have to try these hazelnut cheesecake bars. 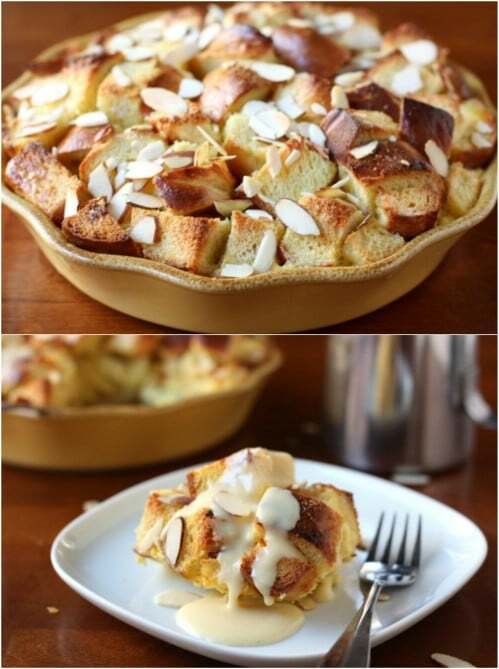 Bread pudding has always been a holiday favorite in my family and this one has a delicious eggnog sauce that makes it perfect for Christmas or Thanksgiving. This is also a great way to use up your day old bread. It’s a simple recipe and the sauce is made from mixing eggnog with almond extract and brandy – although you could substitute brandy flavoring if you want. 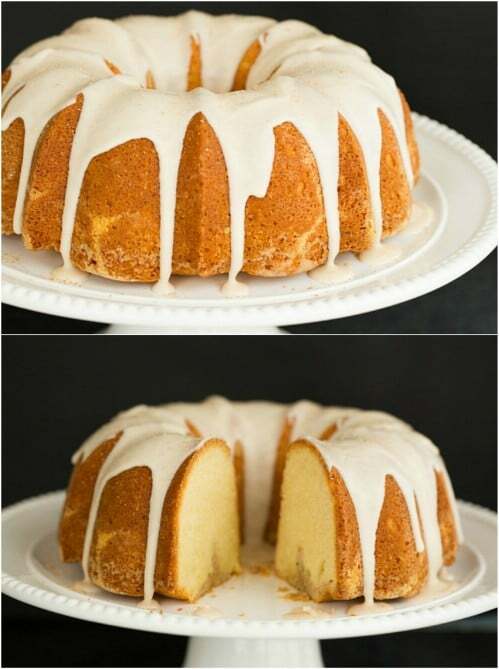 This eggnog flavored Bundt cake is made with all of the ingredients of your favorite eggnog, so it has a wonderful eggnog taste. It calls for rum but you could substitute rum extract if you wanted. 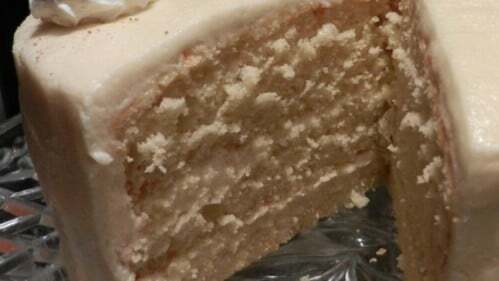 It’s a really easy cake to put together and only takes about an hour and a half from start to finish, including baking time and making the icing. How about some delicious eggnog donuts for Christmas breakfast? This recipe is so simple and the donuts are completely gluten free. These are baked as opposed to fried, so they’re a bit healthier than typical donuts. 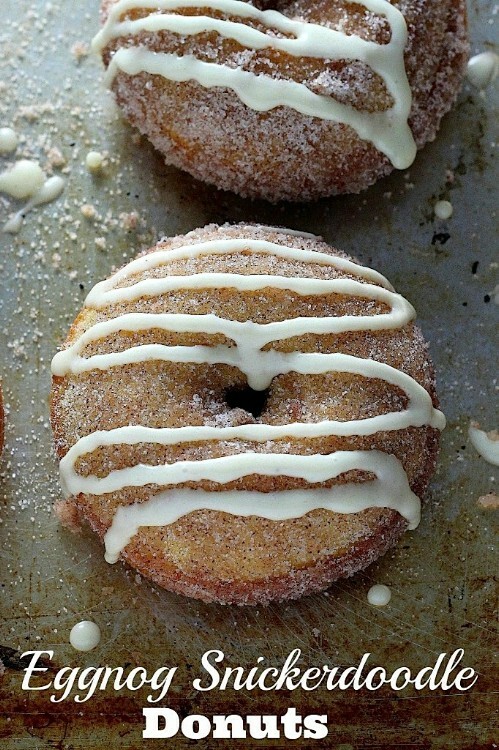 You finish them off with a dusting of cinnamon sugar and a delicious eggnog glaze. 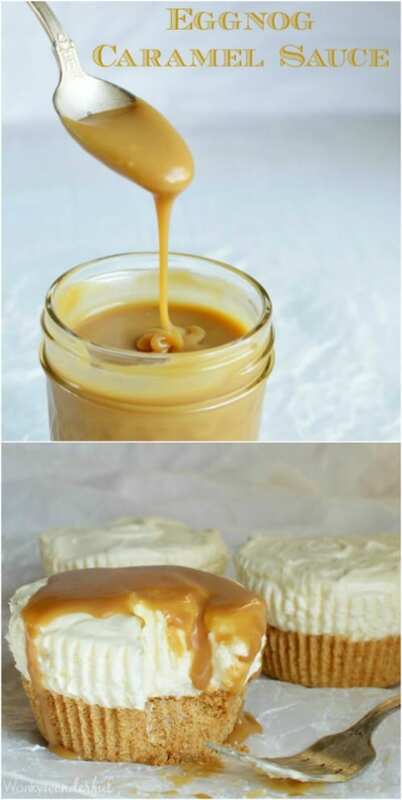 You can even make these ahead of time and freeze them to have them ready on Christmas morning. 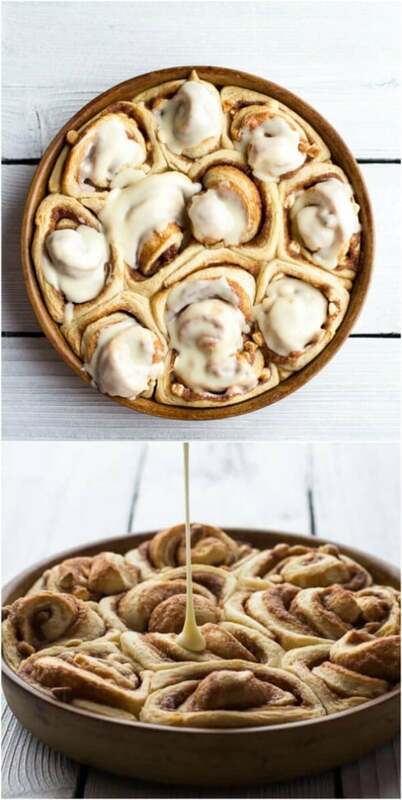 These yummy homemade cinnamon rolls are filled with cinnamon, butter and white chocolate chips. Then they are topped off with a delicious eggnog glaze. This is one of the easiest homemade cinnamon roll recipes that I have seen and it’s perfect for holiday breakfasts or brunches. The recipe takes about two hours total but that includes the time it takes for your dough to rise. 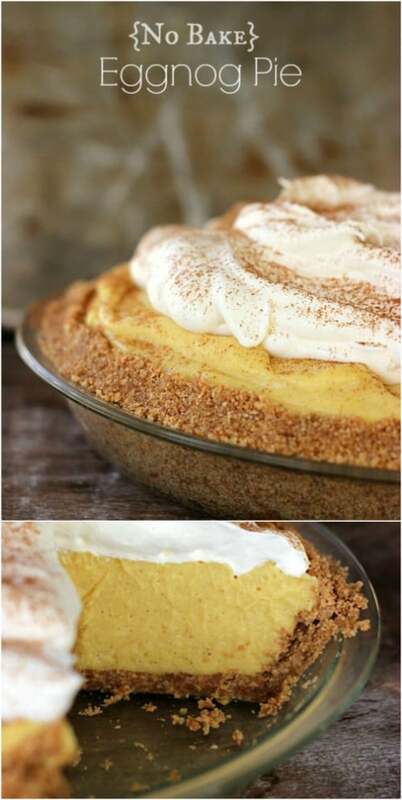 You could add this one to your list of Thanksgiving dessert recipes. This cheesecake recipe combines two different holiday favorites – eggnog and cranberries. It’s a really simple cheesecake to bake and it’s delicious when it’s finished. 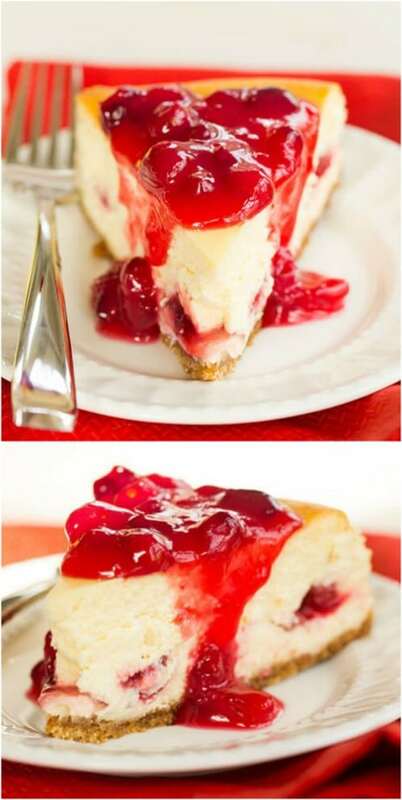 If you typically make cheesecake for your holiday desserts, this is definitely one that you are going to want to try. It takes less than two hours to make this one and one a half an hour of that is prep time. This eggnog caramel sauce is the perfect thing to add to your homemade goodie Christmas basket. The recipe makes about a cup of sauce but you can easily adjust it to make more if you want to add it to several baskets. Or, keep it for yourself to add to your coffee or hot chocolate – or use it as a topping for cheesecakes or pancakes. It’s really versatile and really delicious. Do you make your own Christmas candy? You should, and these easy to make, six ingredient truffles are a good start. They are eggnog flavored and really delicious. 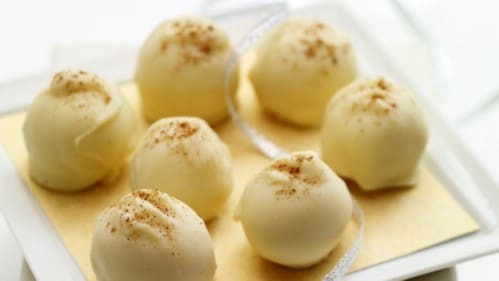 Rum extract and nutmeg give them a wonderful flavor and these are sure to be a hit. Wrap them up in holiday themed cellophane for a wonderful homemade gift or serve them at your Christmas parties. 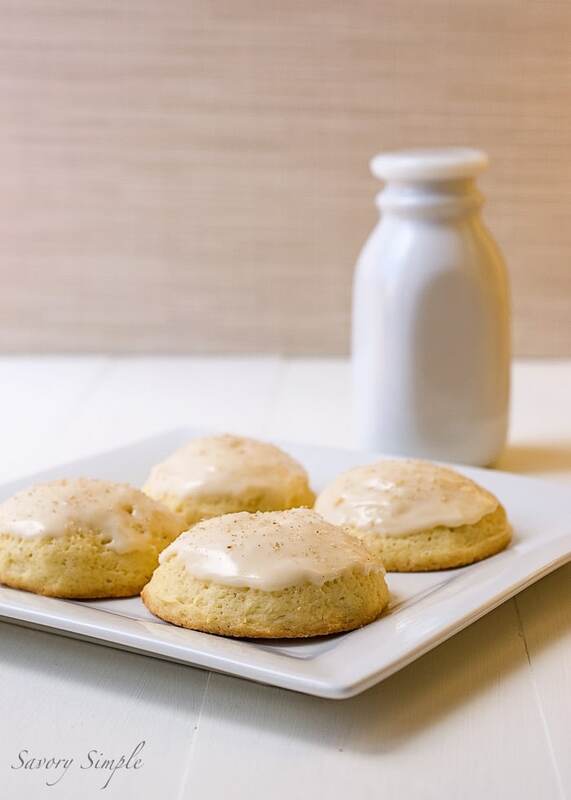 Give Santa a thrill this year by serving these yummy eggnog cookies instead of traditional sugar cookies. 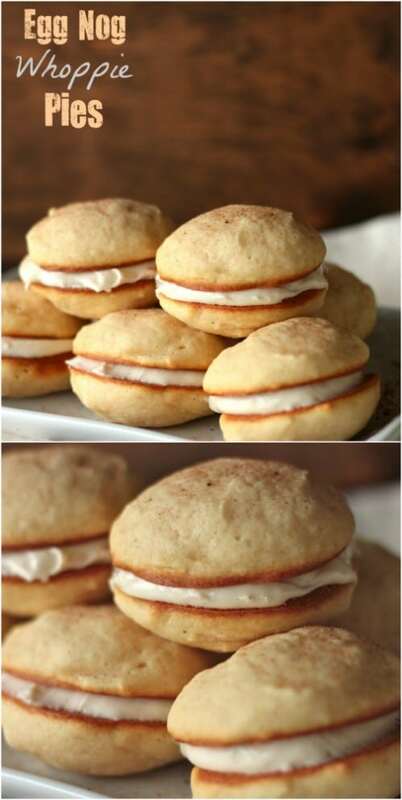 These are really simple to make and are literally filled with yummy eggnog flavor. You make them with eggnog and the icing also has eggnog, so you really do get a wonderful eggnog taste from these. You can bake up a batch of about 60 cookies (depending on how big you make them) in less than an hour. I’ll bet your kids will love these as much as they do chocolate chip cookies. These eggnog cupcakes have eggnog in the actual cupcake and in the icing and they are really perfect for all of your holiday gatherings. 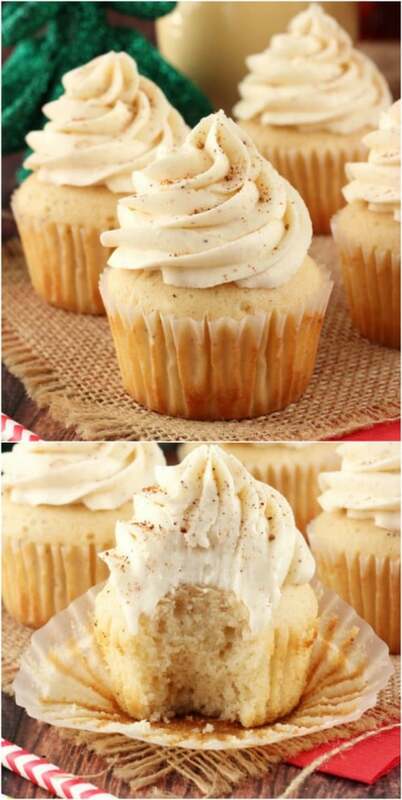 You make these completely from scratch and add eggnog, nutmeg and vanilla to the cupcakes. The icing has eggnog, rum extract and nutmeg and you can dust them with just a hint of additional nutmeg when they’re all iced. What do you make when you want something really sweet, easy to make and eggnog flavored? You make these delicious eggnog whoopee pies. Eggnog in the cookie dough gives them just the right amount of flavoring and the filling is a marshmallow cream mixture that is absolutely divine. These little cookies take less than an hour from start to finish and you get a couple of dozen cookies, depending on how big you want them. 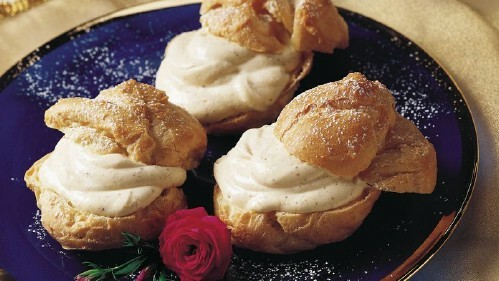 If you really love eggnog, these little cream puffs are the perfect way to enjoy its flavor. Cream puffs are so light and fluffy and these are filled with a pudding that is delightful. The eggnog flavor comes from nutmeg, rum extract and ginger. These little puffs are so light and delicious and you can bake up a batch of a dozen or so in about an hour. 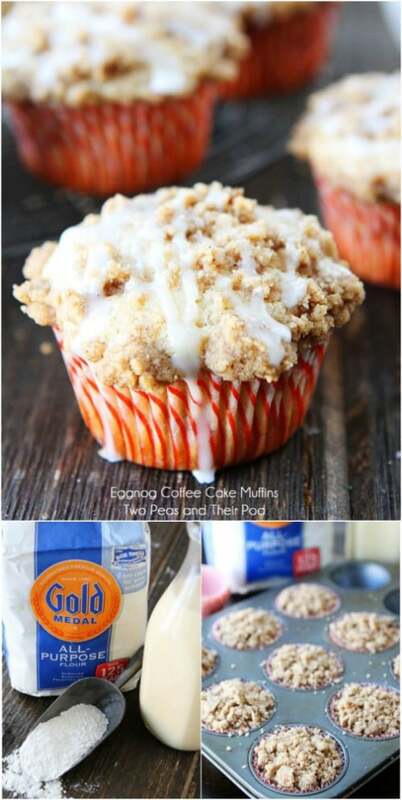 These delicious muffins combine a coffee cake texture with the taste of eggnog. The streusel topping makes them so tasty. The muffins have eggnog and the topping has nutmeg and cinnamon to give them such a festive flavor. You can bake up a batch of about 10 of these yummy muffins in about half an hour. Eggnog pie is perfect for Christmas or Thanksgiving desserts and this no bake version is super easy to make. Plus, it tastes like eggnog. You make the curst with graham crackers, cinnamon and brown sugar and the filling is a luscious eggnog pudding. You can top it off with whipped cream and cinnamon or add some more nutmeg to really give it an eggnog flavor. You have to love no bake desserts, like this no bake Nutella cheesecake. Here is a treat that the entire family will enjoy this holiday season. These eggnog and peppermint milkshakes are simply divine. They are filled with flavor and they’re really easy to make. You could do these for holiday parties, too. Just make smaller portions and turn them into shots. You use eggnog along with peppermint ice cream, peppermint white chocolate bark and crushed peppermint to make them and you can easily turn this into a punch bowl recipe. 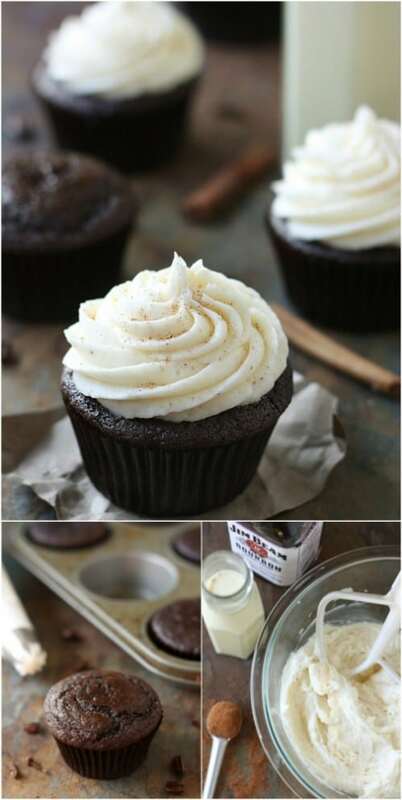 Add a few of your favorite holiday flavors together to make these amazing cupcakes. The cupcakes are chocolate spice and they are topped with homemade buttercream frosting that tastes like eggnog. These are much easier to make than you may think and they are perfect for a gift giving basket. Top them off with cinnamon or nutmeg to give them a gorgeous appearance. I love Starbucks but just can’t afford to go as often as I would like. 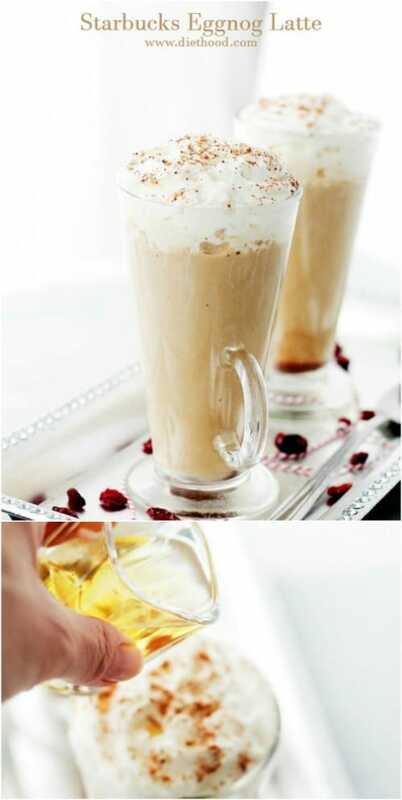 I also love copycat Starbucks recipes, and this eggnog latte is one of my favorites. It tastes just like the delicious eggnog latte that you get from your favorite coffee shop, but without the cost. It only takes about 10 minutes to make these and there are less than 200 calories in each one! What a perfect Christmas morning breakfast recipe! 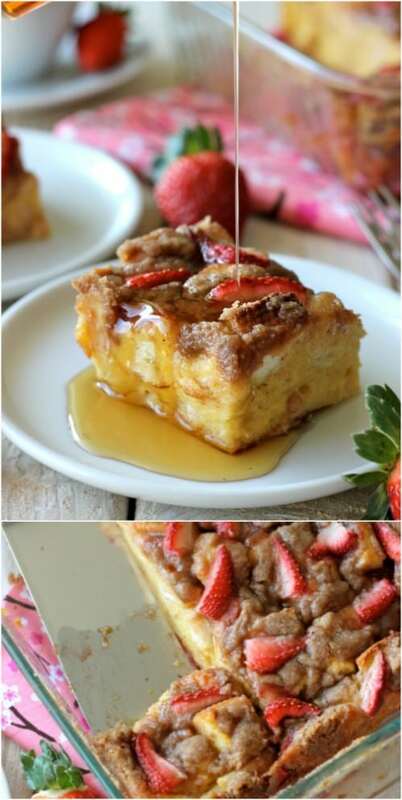 This strawberry eggnog French toast is a great way to kick off your holidays and it’s perfect for serving to company that may be staying with you over the holidays. This French toast bakes for 45 minutes and it serves four, but you can easily adjust the recipe depending on the number of people that you have at your breakfast table. 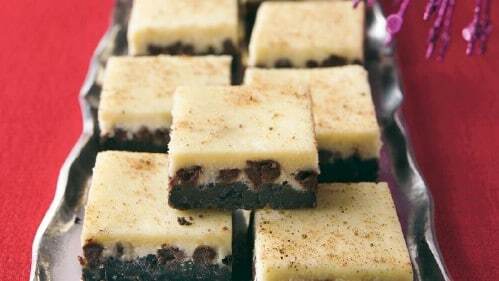 These little cheesecake squares are perfect for all of your holiday parties and gatherings. They combine chocolate and eggnog – two delicious flavors of the season – and they are super easy to make. You get 48 squares from the recipe, depending on how you cut them, and it only takes about 20 minutes to get these ready from start to finish. 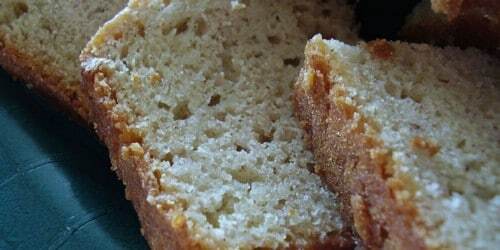 In about an hour, you could have this delicious loaf of eggnog quick bread baked and ready to serve. This is a sweet bread that is perfect for adding to your dessert table or just have it on hand for a quick snack. The bread batter contains eggnog as well as nutmeg so it has a wonderful eggnog flavor and it really is the easiest sweet bread you have ever made. Here in the South, we love our eggnog – well, at least most of us do. This cake is a traditional treat that is perfect for serving on the holidays or you can wrap it up and give it as a gift. It takes nearly four hours to complete this one but trust me when I say that it is definitely worth the time and trouble. Your guests are going to gobble this one up quickly.